Earthenware decorated with slips and glazes. 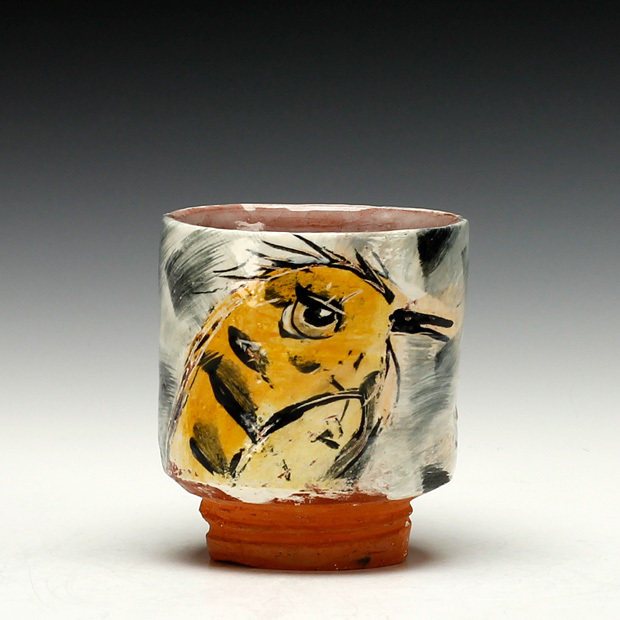 Ron Meyers has been in clay for over 50 years, known for his loose, whimsical and pictorial approach to utilitarian pottery. He received an MA in Art Education from the Rochester Institute of Technology for American Craftsmen, and, recently retired from teaching, is a Professor Emeritus at the University of Georgia. He is an internationally know artist whose work is collected in the US and abroad. 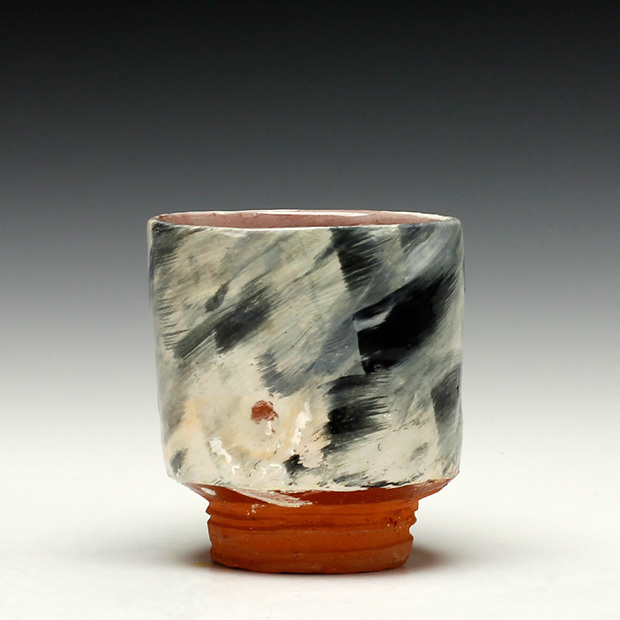 Working in clay and making functional pottery has never been a problem for me. I have never felt the need to dismiss or disregard the concept of function because it was something less than art. I have never found making useful pieces confining or restrictive. In fact, I find that the opposite seems true. The longer I stay involved, the more alternatives and possibilities there are that seem to present themselves. Along with the functional aspects of the piece, I strive to have the end product reflect my own sensitivity and awareness to the material itself and its traditions. The pieces that I'm most pleased with are those that come closest to best integrating the form and surface, the spontaneity and fluidity of the clay along with the object's use.